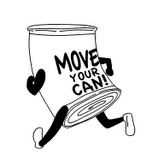 We are pleased to announce that the Colchester – Milton Rotary Club is organizing the 3rd annual MOVE YOUR CAN Fun Run / Walk event this summer. The event is a 5K (roughly 3 miles), and we are anticipating about 50-75 runners. The race will be family oriented and will start and finish at Bayside Park in Colchester. Registration will begin at 7:45 am and the race will begin at 8:30am. The event starts and finishes at the Pavillion at Bayside Park in Colchester. The purpose of the event is to raise money for the Charitable Fund of the Colchester Milton Rotary Club, and to support the local food shelves of Colchester, Milton, and Grand Isle County. Entry fees will be $25.00 for adults, and $15.00 for children under 15 years. Each participant will be provided with snacks and an event T-shirt. Please register prior to 7/6 to receive a t-shirt at the race.